In Iceland registered religious bodies receive “parish fees” – paid through taxes levied by the government amounting to the equivalent of $80 per taxpayer per year. Zuism promises to refund taxpayers the money they receive from the government. The religion is being taken up by citizens opposed to state funding of religious bodies. Over 1% of Iceland’s population – 3,100 people – converted over a two week period. Attempts to disqualify Zusm from state funding have faltered because of problems with identifying which religions are legitimate and which aren’t. Zuism itself is a real ancient religion that worships Sumerian Gods. Weirdly some of the converts have taken an interest in the religion itself. Ancient Sumerian services and poetry events have been surprisingly popular. 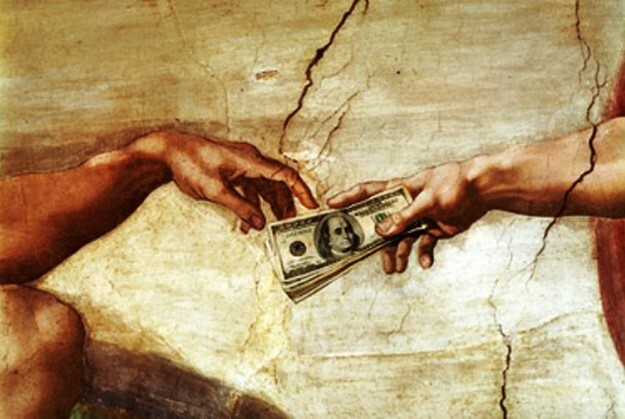 Read more about the belief, Iceland’s religion funding system, and other details here. The End Of The Microwave?